Have you ever heard of Lester Dent, nom-de-plume Kenneth Robeson? He was born in 1904, in La Plata, Missouri, and died fifty-four years later. His writing career spanned a total of thirty years — during which time he managed to crank out an astonishing 175 novels, or more. Still, despite such spectacular fecundity, the names Lester Dent and Kenneth Robeson remain relatively unknown. 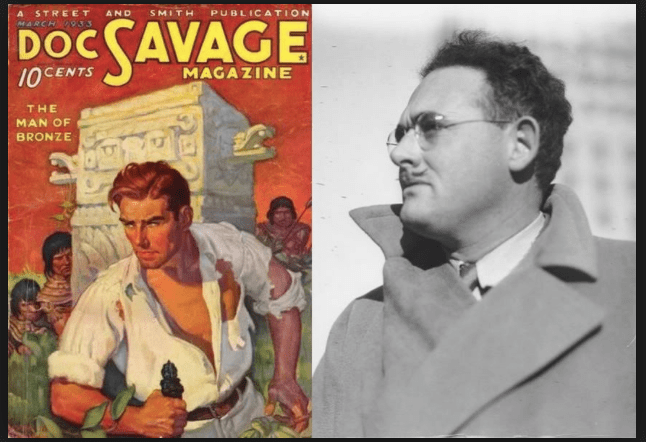 His most memorable creation was a character he called Doc Savage — the Man of Bronze. Doc Savage was a wildly popular pulp hero of the 1930s and 1940s, a prototype for countless superheroes after him, the most notable of whom was Superman — the Man of Steel. Lester Dent once codified a formula for what he called “The Master Plot” to any pulp story. It is a fascinating read, which in many ways can be applied to any genre of fiction. [This formula] has worked on adventure, detective, western and war-air. It tells exactly where to put everything. It shows definitely just what must happen in each successive thousand words. A different murder method could be–different. Thinking of shooting, knifing, hydrocyanic, garroting, poison needles, scorpions, a few others, and writing them on paper gets them where they may suggest something. Scorpions and their poison bite? Maybe mosquitos or flies treated with deadly germs? also nice to use a familiar one, a place where you’ve lived or worked. So many pulpateers don’t. It sometimes saves embarrassment to know nearly as much about the locale as the editor, or enough to fool him. Vivid, swift, no words wasted. Create suspense, make the reader see and feel the action.